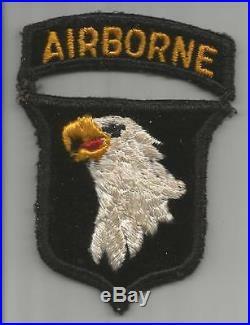 HTF Type 8 US Army 101st Airborne Division Patch Inv# G635. This is for the item stated in the title and pictured. Please use image super sizer for the best view. You get the item pictured, we do not use stock photos or other sellers images. All items are guaranteed to be 100% original, we do not sell reproductions. Get Images that Make Supersized Seem Small. Auctiva's Listing Templates improve your auctions in minutes. Attention Sellers - Get Templates Image Hosting, Scheduling at Auctiva. 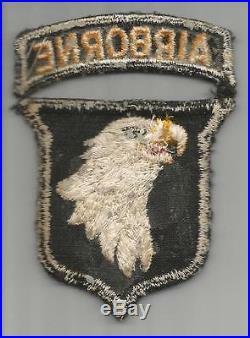 The item "HTF Type 8 US Army 101st Airborne Division Patch Inv# G635" is in sale since Monday, September 3, 2018.